The old rules pertaining to non-compete agreements always focused on geographic territory as an indispensable element of reasonableness. Along with a time restriction, courts frequently scrutinized whether a geographic boundary was reasonably tailored to protect an employer. However, customer-based restrictions can serve as legitimate proxies for a geographic term, and courts appear to consider them as much more favorable (and fair) substitutes. When drafting customer non-compete clauses, attorneys still must be careful to make them reasonable. A sweeping restriction barring an employee from contacting or working with any customer (past, present or future) is sure to be struck down as overbroad. In many states, courts will require some nexus between the employee and the customer, often times by requiring that the non-compete only extend to those customers with whom the employee had substantial contact during the course of his or her employment. A commonly-disputed type of customer non-compete, though, involves a "look-back" provision. This type of provision was at issue in the recent Wisconsin case of Techworks, LLC v. Wille. Generally speaking, a look-back covenant bars an employee from contacting customers with whom he dealt during a certain period of time prior to the end of his employment. Companies generally draft look-back provisions in one of two ways. The first, and more problematic, provides that an employee cannot work with any customer with whom he developed a relationship during the course of his employment. For long-term employees, this could include customers who have not done business with the company in many years. In that type of case, the covenant really protects no legitimate business interest, but rather competition per se. Needless to say, those are tough to justify for employers. The second, which was at issue in Techworks, involves a specific look-back period of time. In the employee's covenant, the look-back period was two years, such that the covenant barred him from working with any customer with whom he dealt as an employee two years before his departure. The Court of Appeals of Wisconsin, in a surprising decision, found this reasonable. 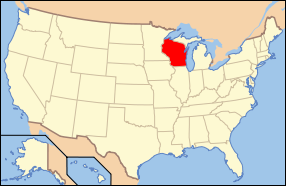 Wisconsin is a notoriously pro-employee state on non-compete agreements. A dissenting opinion noted that the three customers at issue had actually ceased doing business with the ex-employer several months prior to the defendant's resignation. This raised the issue of what possible legitimate interest the employer had to protect by enforcing the covenant. Still, the majority glossed over the fact and entered summary judgment on the validity of the covenant. The issue of breach was reserved for trial. Despite the holding, employers must be careful in arbitrarily selecting look-back dates. They must be able to articulate why the time-frame was chosen and what interest is being protected. For instance, evidence demonstrating that other customers frequently come back after a period of time may help establish reasonableness, but it is easy to see an argument like that offered by the dissent in Techworks prevailing in another court.